Macbeth, a play by Shakespeare revolves around the character Macbeth the thane of Glamis who works out his ways to become king and tries to ward off any threat to his reign and succession by all means. In Chinua Achebe’s novel Things fall apart, Okonkwo, the main character, equally does everything to prove his valor. Though set in Scotland and Nigeria respectively, both Macbeth and Things fall apart subtly examine how too much ambition may break a man or propel him towards self-destruction. In Things fall apart, Okonkwo’s resolve to be great is driven by fear of not being like his late father Unoka. Achebe clearly states, “Perhaps down in his heart, Okonkwo was not a cruel man. But his whole life was dominated by fear … it was the fear of himself, lest he should be found to resemble his father” (9 – 10). Like Macbeth whose valor at war is demonstrated at the play’s onset when he defeats the invading armies of Norway and Ireland, Okonkwo’s fame is announced at the beginning of the novel. At the age of eighteen, he brings honor to his village by throwing Amalinze the Cat in a legendary duel. This among other achievements, not only earns him popularity but they also make him look down on underachievers. “He had no patience with unsuccessful men. He had no patience with his father (3). Unguarded personal ambition may lead to insensitivity and cruelty. Shakespeare apparently presents this view from what Macbeth (who is initially full of human kindness) does once his eyes are set on the crown. Though he had earlier said in an aside that “If chance will have him king, chance may crown him king,” Macbeth, persuaded by his wife, does not wait for chance to crown him king. In a letter to his wife, Lady Macbeth, Macbeth tells her to rejoice and not be ignorant of the promised greatness. To this promise she laments, in a soliloquy in Act I scene V, which the very kind nature of her husband may hold him from getting what fate and gods had bestowed upon him. She hopes to and succeeds in talking Macbeth into killing King Duncan when the king visits their castle. Macbeth’s murderous tendency and cruelty in pursuit of greatness are further demonstrated by the ruthless execution of the two chamberlains upon whom the daggers that killed Duncan are found. He attributes this inhuman act to his rage and fury. It is not, however, lost to the audience that Macbeth murders the two guards to conceal his treasonable act of murdering the king. He is probably aware that should it be suspected upon him, his ambition to succeed Duncan will come to naught. In Things fall apart, Achebe exposes Okonkwo’s reckless insensitivity and cruelty. He commits the unimaginable during the Week of Peace. Okonkwo heavily beats his youngest wife, Ojiugo, for not returning early enough to cook the afternoon meal. Ojiugo had gone to plait her hair at her friend’s house. “In his anger, he had forgotten that it was the Week of Peace”(21). His two wives pleaded with him that it was the sacred week but he disregarded this since he is not known for stopping to beat someone half-way through. Ezeani, the priest of the earth goddess rebukes Okonkwo for disrespecting their gods and ancestors. Okonkwo displays the same recklessness during the New Yam Festival – an annual joyous occasion in Umuofia. He gives his second wife a sound beating for cutting a few leaves of bananas to wrap some food as it cooks. Okonkwo then asks Ikemefuna to bring him his gun with which he wants to venture out. The beaten wife innocently comments in a murmur about guns that had never killed anything (this is the case as the author had already observed that Okonkwo had not been lucky with the gun – he had not even killed a rat). In response to his wife’s observation, Okonkwo “ran madly into his room for the loaded gun, ran out again and aimed at her..” The woman luckily escapes unscathed. The main characters in Macbeth and Things fall apart stop at nothing to realize their ambition. Macbeth, having ascended to the throne, schemes to kill Banquo and his son Fleance. He wants this done to ensure that the prophecy given to Banquo aborts. In Act III scene I, Macbeth rues the fact that the witches hailed Banquo “father to a line of kings/ Upon my head they placed a fruitless crown.” He thus declares Banquo his greatest enemy and hires murderers to kill him. Banquo is killed but his son Fleance escapes the murderer’s attack. Similarly, in his ambition to cut out an image of a fearless man, Okonkwo mercilessly kills Ikemefuna. Ikemefuna had been brought to Umuofia from Mbaino as a token of peace. An Umuofian woman had been killed in Mbaino and Ikemefuna and a virgin were the price they paid to avoid going to war with the aggrieved clan. Ikemefuna had lived in Okonkwo’s homestead for three years and had known Okonkwo as a father. When the clan decided to kill Ikemefuna, Ezeudu warned Okonkwo, “ that boy calls you father. Do not bear a hand in his death” (40). Ikemefuna was led to the forest and when a man struck him by a matchet, Okonkwo “heard Ikemefuna cry, ‘my father, they have killed me!’ as he ran towards him. Dazed with fear, Okonkwo drew his matchet and cut him down. He was afraid of being thought weak” (43). The rushed murder of the two chamberlains by Macbeth and the uncalled for killing of Ikemefuna by Okonkwo prove that the two would do anything to be great. The writers of Macbeth and Things fall apart seem to agree that reckless ambition necessarily begets suffering. At the killing of Banquo but not his son Fleance, Macbeth is dismayed to learn that the prophecy about Banquo still stands. He observes that the murderers have scorched but not killed the snake. This realization leads Macbeth to mental turbulence which he describes as a mind full of scorpions. After Banquo’s death, Macbeth and Lady Macbeth begin to pay for their evil in their pursuit of ambition. In Things fall apart, the killing of Ikemefuna by Okonkwo, like the death of Banquo for Macbeth, is the turning point for Okonkwo’s rising star. His role in the death of the boy haunts him and he neither eats nor sleeps for two days. Nwoye, Okonkwo’s son later cites this incident as his reason for deserting his father for the white man’s religion. In a manner of speaking, therefore, it is enough to conclude that the ghost of Ikemefuna, like that of Banquo comes back to punish Okonkwo. In the case of Macbeth, the sight of Banquo’s ghost shocks him and he queerly laments in the hearing of his guests though his wife tries to control the damage. Okonkwo on his part broods alone and becomes a “shivering woman” (45). He wakes up in the middle of night and the mosquitoes “wailing near his right ear” could symbolize Ikemefuna’s ghost (53) . And as fate would have it, Ikemefuna’s murder is followed by an accidental murder of a boy by Okonkwo at Ezeudu’s funeral. Ibo tradition demands that anyone who commits such a crime is punished. Okonkwo’s property is destroyed in keeping with the tradition and he is banished with his family from the clan for seven years. They move to Mbanta, Okonkwo’s mother’s birthplace. Evil begets evil as both Macbeth and Okonkwo suffer after inflicting pain and loss in others. Ambition without moral restraint leads to self-destruction. This is evidently the case of both Macbeth and Okonkwo. Macbeth, under pressure from being isolated by Macduff, desparately seeks out the witches for assurance. He gets new prophecies that superficially soothe him. Macduff also seeks the help of the King of England to dethrone Macbeth. Banquo’s ghosts intensely haunt Macbeth and this heightens mental anguish. The witches warn Macbeth to be wary of Macduff but tell Macbeth that his kingdom will last until Birnam Wood moves to Dunsinane Hill. He is also told that no one born of a woman will harm him. All these developments leave Macbeth in a state of confusion. In this state, when he learns of Macduff’s plot, Macbeth sends murders to kill Macduff’s wife and sons. The climax of Macbeth’s self destruction comes in Act 5. His wife develops a strange sleeping illness. As he prepares to do battle with Macduff and Malcom, Macbeth fortifies his palace at Dunsinane Hill. On the day of battle, the English and the Scottish army carry tree branches Birnam forest and march towards Dunsinane Hill. A scout informs Macbeth that the forest moves towards the palace but he defiantly fights himself to self- destruction insisting that he will die fighting. Macduff whose birth was by what is commonly known as Caesarian eventually kills Macbeth. Thus in the manner of his death, the witches prophecies about the moving woods and the assassin not borne of a woman are fulfilled. 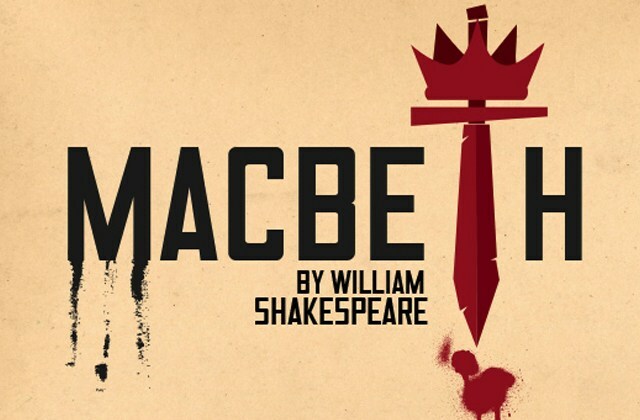 It is the self-same prophesies that propel Macbeth to power leaving a trail of murders behind him. Interestingly, when Macbeth attempts to stop the predictions that do not favor him, he finds himself on the path to self-destruction. Okonkwo’s final journey self-destruction begins while in exile at Mbanta, his motherland. He grows impatient with the people of Mbanta for allowing the white man to settle there. He cannot tolerate the reasoning that their gods will fight for themselves and that there is no need fighting off the Christians for desecrating their religion. His argues, “Let us not reason like cowards…if a man comes into my hut and defecates on the floor, what do I do? Do I shut my eyes? No I take a stick and break his head. That is what a man does … This was a womanly clan, he thought such a thing could never happen in his fatherland Umuofia (113). Okonkwo later leads his clansmen in destroying the Christian church at Umuofia. This achievement reignites his valor but his joy is short-lived when the white man arrests five other elders with him. Okonkwo regrets not having killed the District Commissioner when he had summoned them. After they are released, Okonkwo attends clan meeting. The white man’s messengers come to stop the meeting but Okonkwo stops them and chops off the head of one of them. The meeting does not go on as he had expected it would. This kills his warrior spirit and tragically disillusions him. “He knew that Umuofia would not go to war. He knew because they had let the other messengers escape” (144). In disappointment Okonkwo wipes his matchet and walks away. Shortly afterwards, his body is found dangling from a tree in a small bush behind his compound. Obierika ferociously accuses the District Commissioner for driving one of the greatest men in Umuofia to his to death and Okonkwo would now be buried like a dog. It is, however, the pursuit of greatness that blindly drives both Macbeth and Okonkwo to their death. In conclusion, it is important to note that the two literary texts – Macbeth and Things fall apart, though written in different times and places address the inherent failings of humanity. The greatest flaw of character evidently given prominence in the two works is the trait of unbridled ambition. The main characters in both texts manifest such raw ambition that they end up being devoid of human feelings. For the two, the pursuit of self-actualization knows no moral or humanistic boundaries. Such a pursuit, Shakespeare and Achebe imply, ultimately leads to self-inflicted tragedy.